Ryan Graves played his final game as a Spartan on Tuesday. He averaged 17 points per game and shot better than 50% from the field, helping to make him one of the best players to compete at LCHS, according to head coach Tom Hofman. 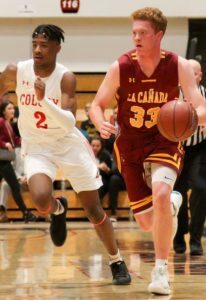 The La Cañada High School varsity boys’ basketball team fell short of adding another CIF Southern Section plaque to its mantle as top-seeded Ontario Colony edged the Spartans, 50-47, in the Division 2A championship game at Azusa Pacific University’s Felix Center last Saturday. La Cañada led by as many as eight points, 19-11, in the second quarter, but Pepperdine-bound Sedrick Altman helped the Titans fight back and recapture the lead in the third quarter. Timely shots and free throws allowed Colony to pull away for the victory in the final quarter. 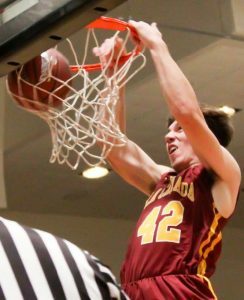 Zach Feehan scored 14 points and hauled in a game-high 18 rebounds in the CIF-SS Division 2A championship. The Spartans fell to Colony, 50-47. 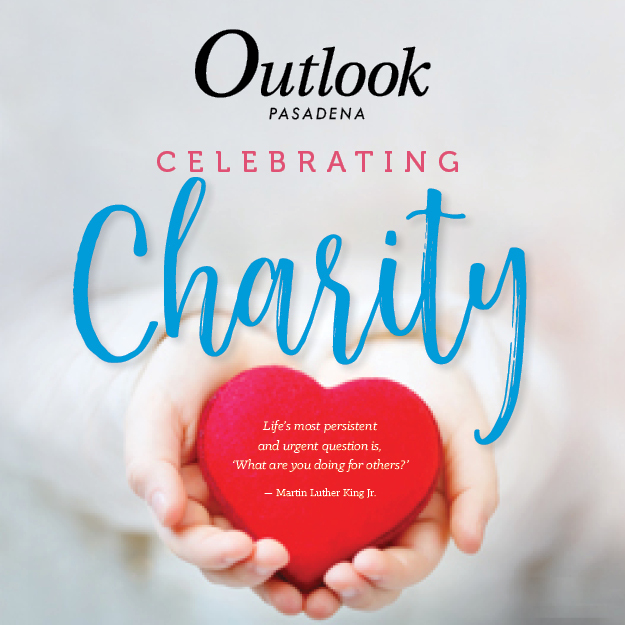 The La Cañada High School varsity boys’ basketball team was looking for another historic shot to tie Ontario Colony in the fourth quarter of the CIF Southern Section Division 2A championship at Azusa Pacific University’s Felix Center last Saturday. Sophomore Ryan Grande scored 11 points in the Spartans’ 67-55 loss against San Diego Cathedral Catholic in the state playoffs on Tuesday. On paper, the No. 5-seeded La Cañada High School varsity boys’ basketball team was the favorite in a CIF State Division 2 first-round playoff game against visiting No. 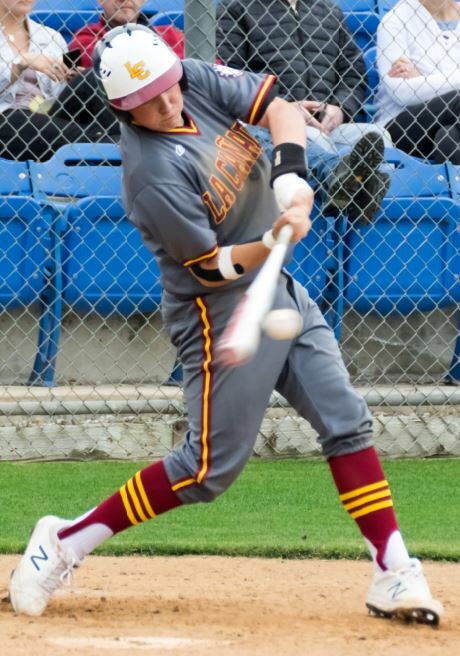 12 Cathedral Catholic of San Diego. However, LCHS head coach Tom Hofman knew exactly what his squad was up against and was not disappointed when the Spartans fell to the Dons, 67-55, on Tuesday, ending their stellar season. Cathedral Catholic (24-9 overall record) boasts a balanced squad with five athletes 6-5 or taller. Zach Feehan is the only Spartan taller than 6-5. 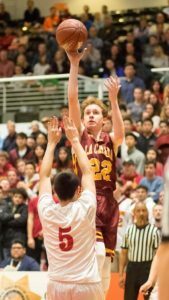 The La Cañada High School varsity boys’ basketball team advanced to the CIF Southern Section championship for the fifth time in school history. The squad includes Kevin Kirste (front row, from left), Riley Eng, Liam Bui, Darren Pung and Jake George. Middle: Assistant coaches Rich Grande, Ray O’Brien and Jim Harvey, head coach Tom Hofman, assistant coaches R.T. Van Valer and Thomas Atamian. Back: John Hickman, Tyler Kuang, Jacob Nussbaum, Ryan Graves, Zack Feehan, Garrett Kremer, Noah Ford, Kyle Brown and Ryan Grande. The La Cañada High School varsity boys’ basketball team threw everything it could at Irvine Crean Lutheran. Grit, key defensive stops, a historic comeback and a herculean effort from their senior leaders were just enough to give the visiting Spartans a 77-74 double-overtime victory over the Saints in a thrilling CIF Southern Section Division 2A semifinal last Saturday. 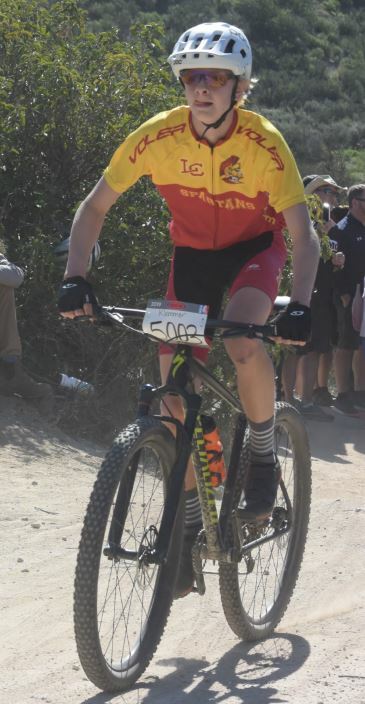 Two La Cañada High School varsity wrestlers move on to the stage of the postseason after solid performances last weekend. Sophie Garcia finished second in the 170-pound division of the CIF Southern Section Girls Individual Northern Regional Qualifying Tournament at Camarillo High School last weekend. 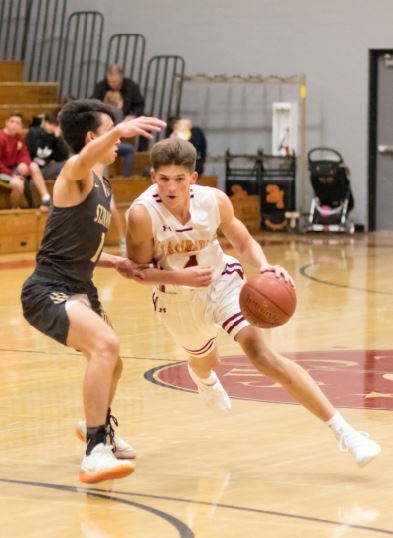 The La Cañada High School varsity boys’ basketball team was stellar from the field in its CIF Southern Section Division 2A second-round game, shooting 52% and dominating in a 65-36 victory over visiting La Mirada on Tuesday. The Spartans built a nine-point advantage in the first quarter and pulled away from their opponent in the second with 25 points scored. La Cañada led 44-23 at the half and held La Mirada at bay through the rest of the contest. Alex Mykalo (top) is one of 13 La Cañada wrestlers to qualify for the CIF-SS Individual Championships this weekend. The La Cañada High School varsity wrestling team will send a record 13 athletes to the CIF Southern Section Individual Championships this weekend following a solid performance in the Rio Hondo League finals at Monrovia last week.